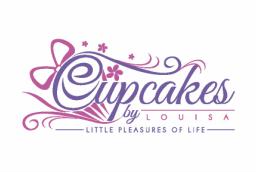 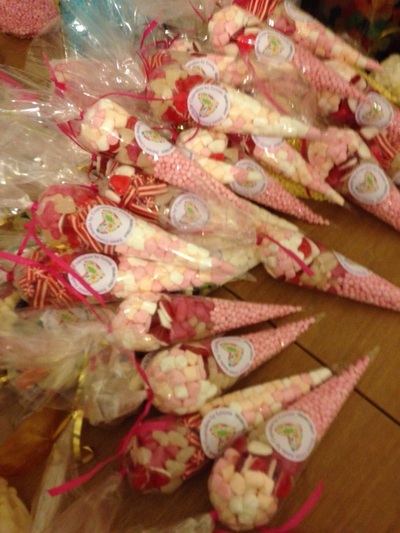 At Cupcakes by Louisa, we now make and sell, to order, handmade sweetcones. 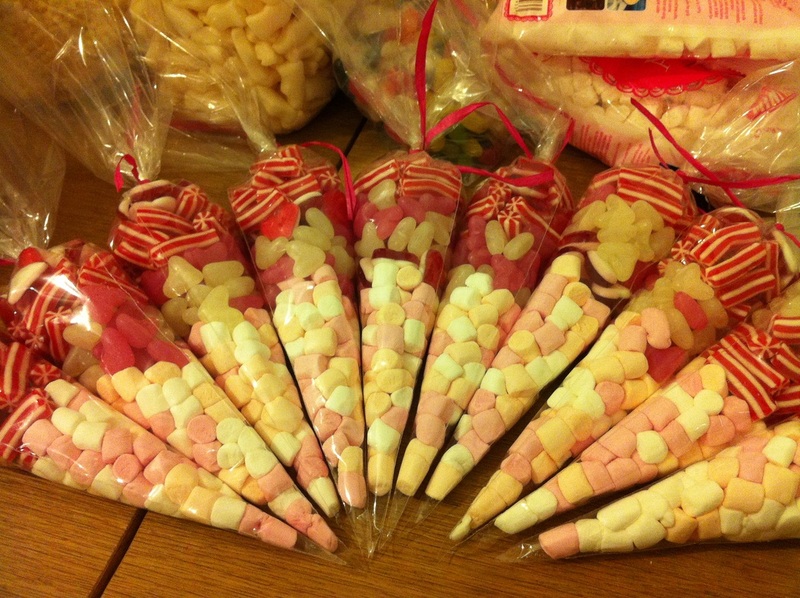 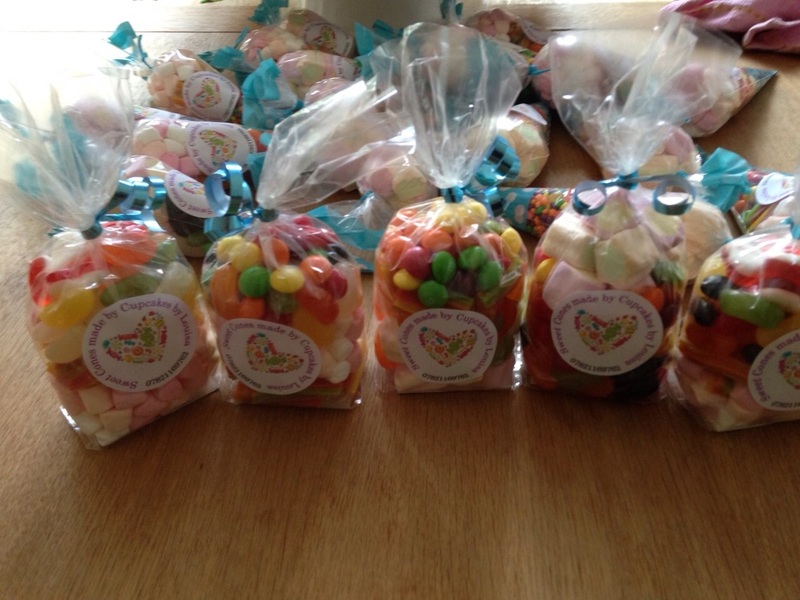 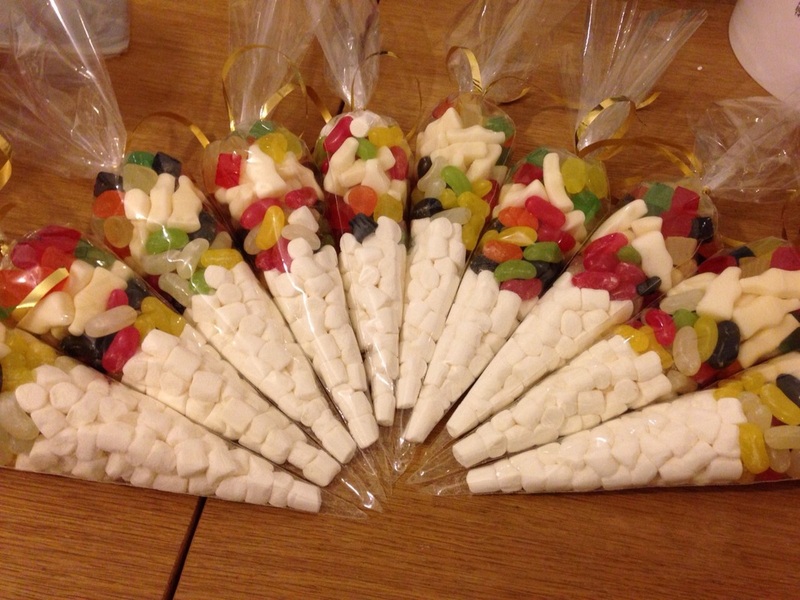 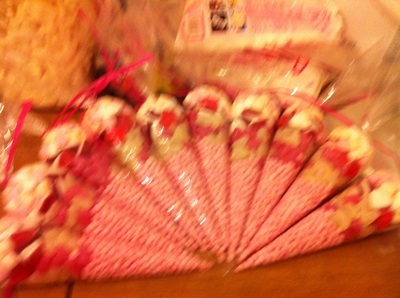 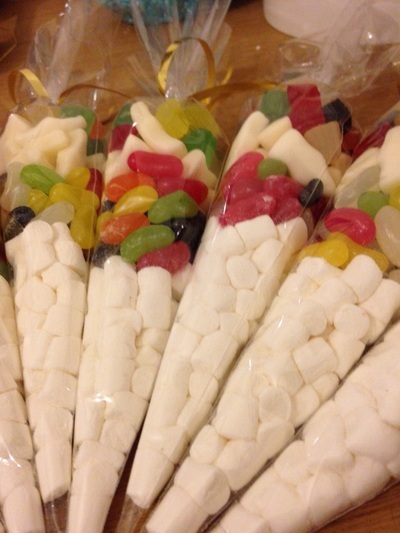 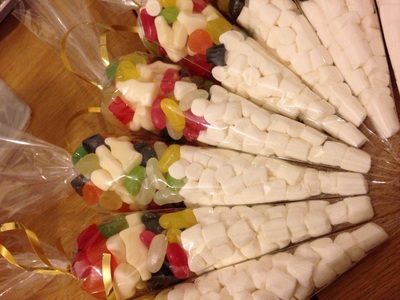 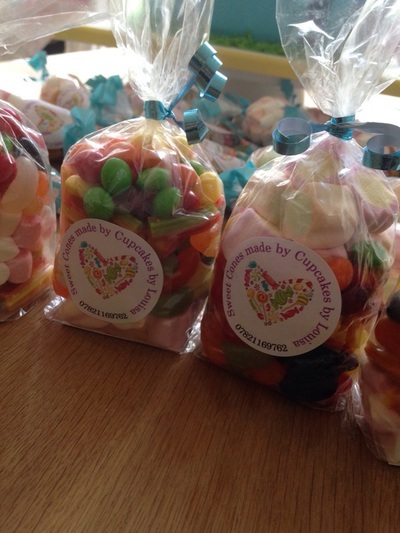 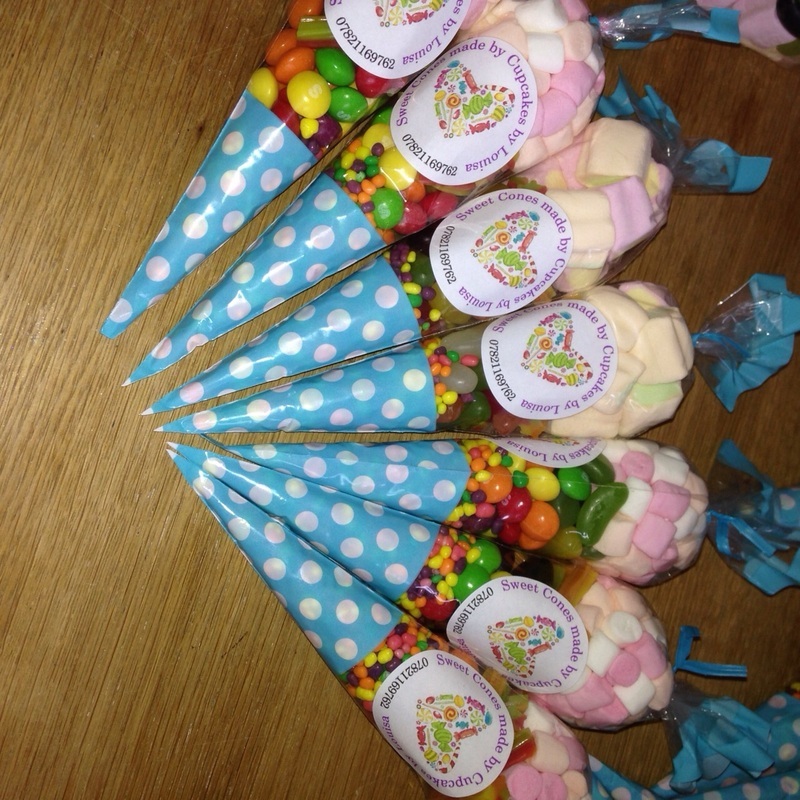 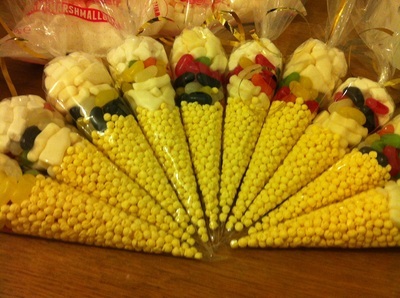 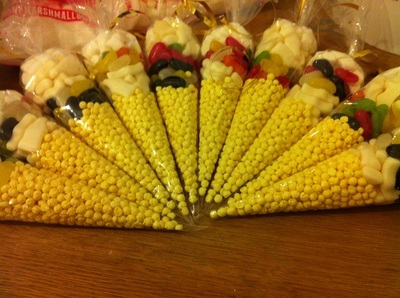 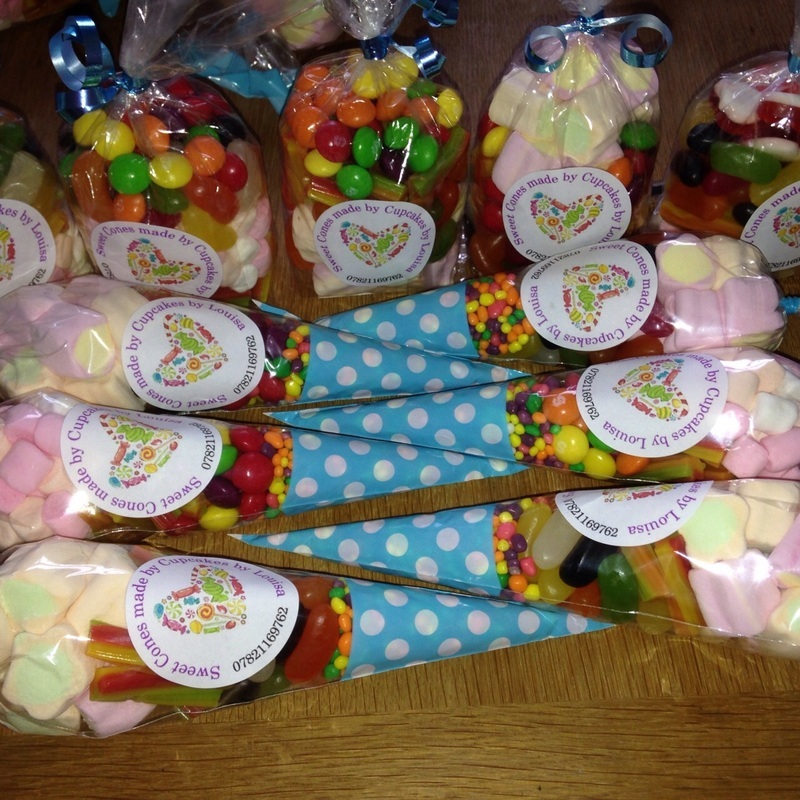 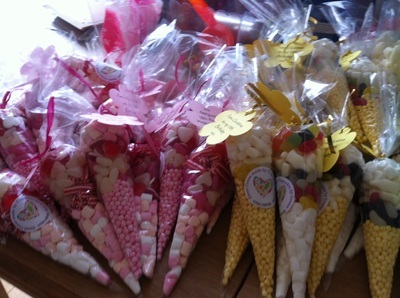 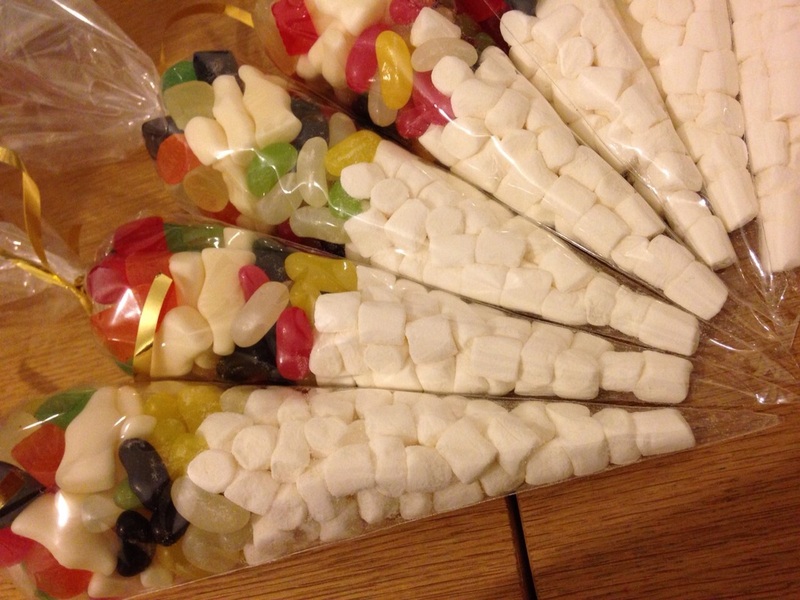 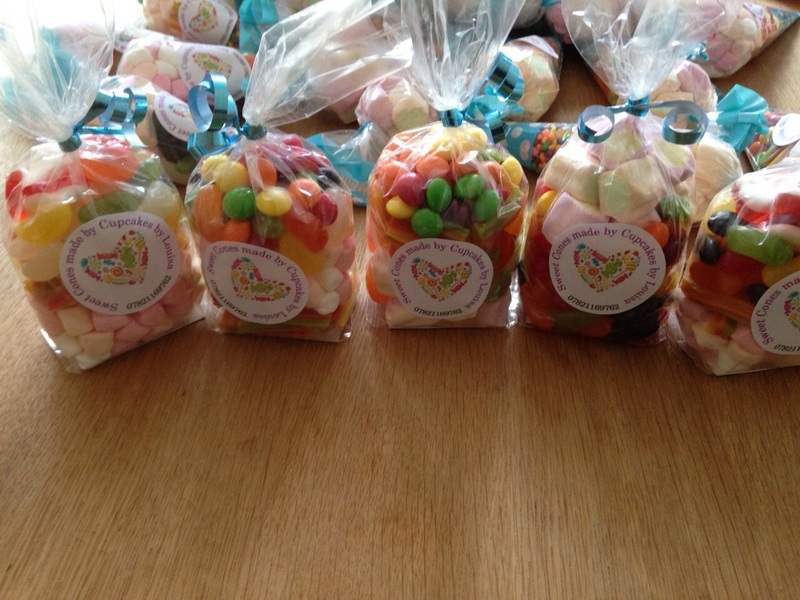 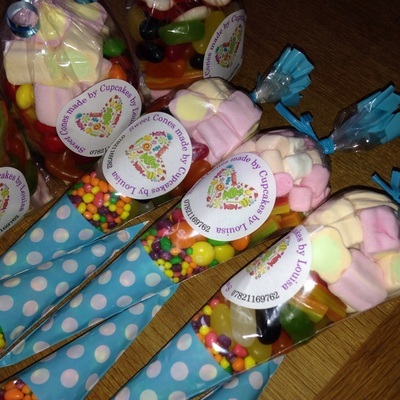 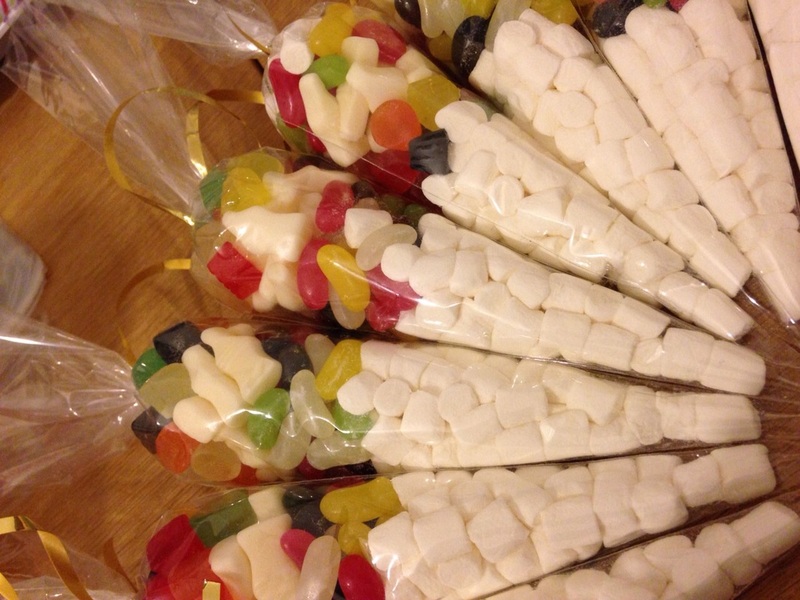 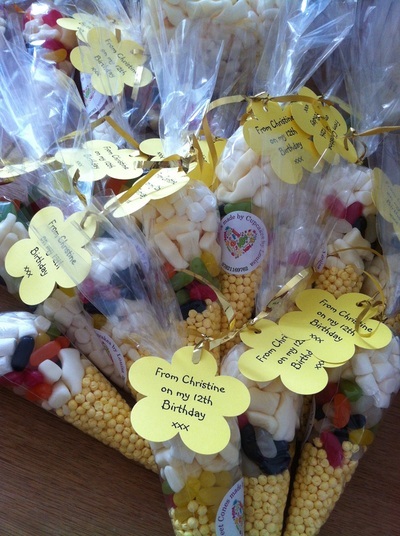 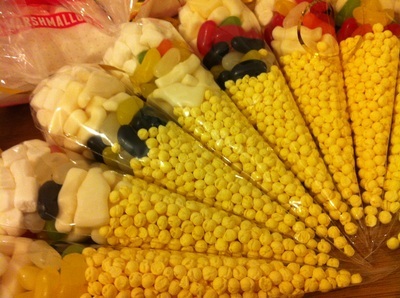 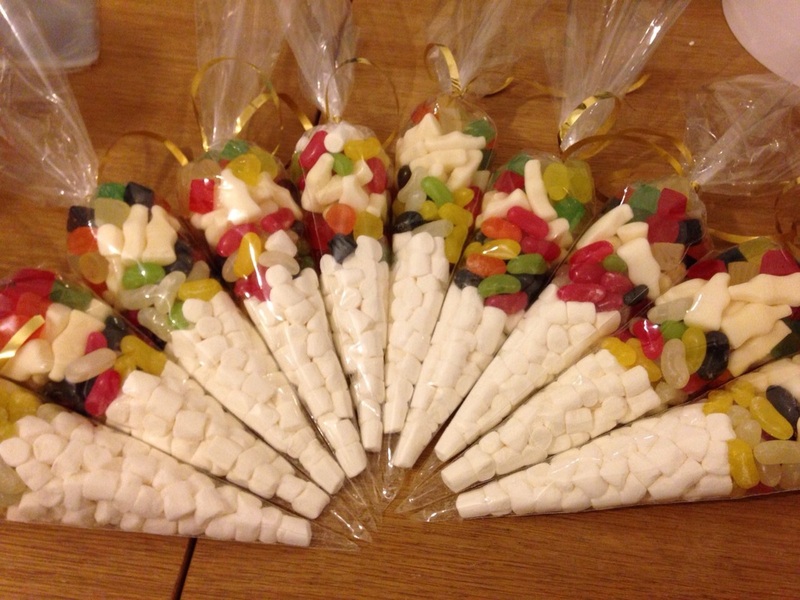 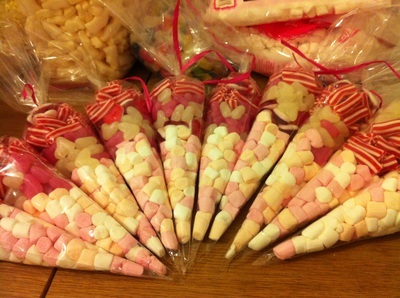 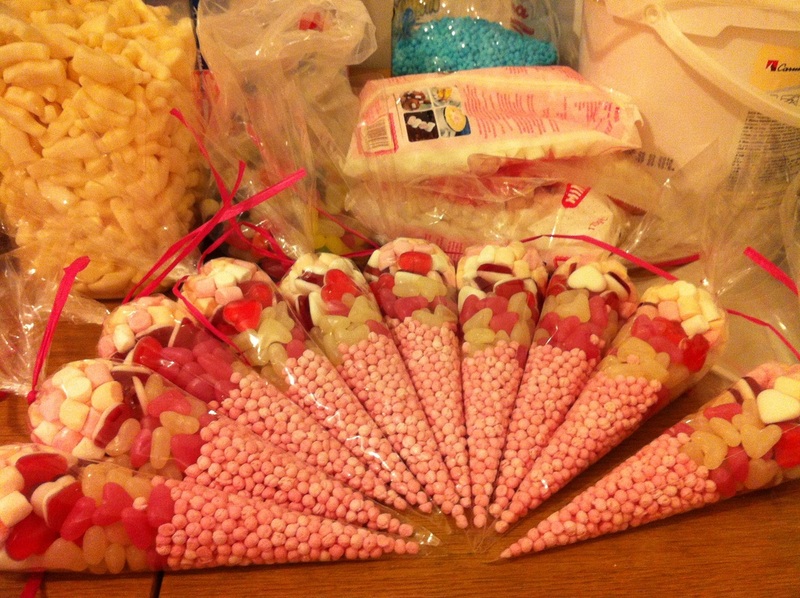 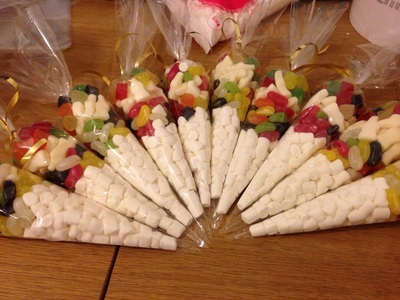 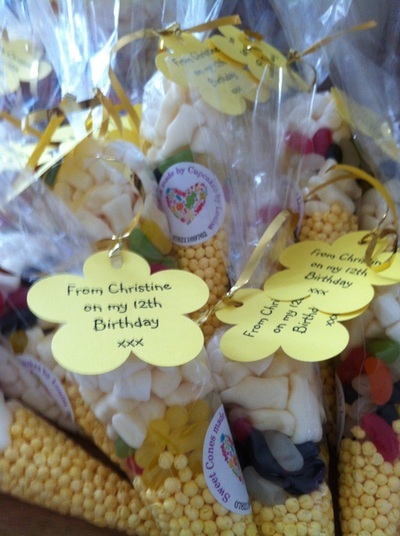 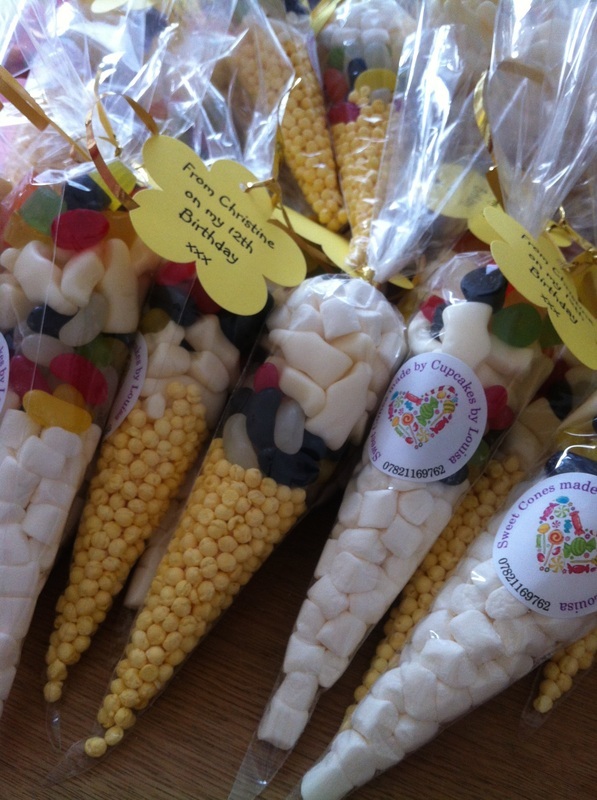 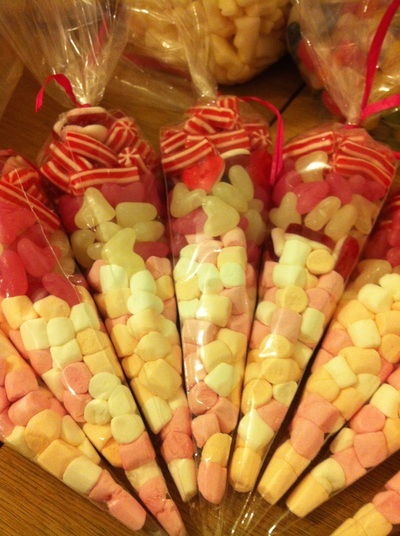 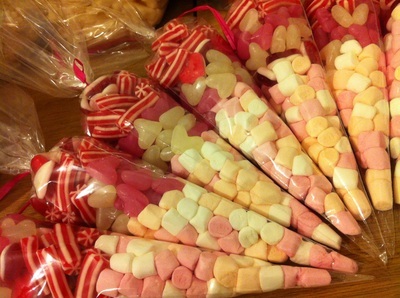 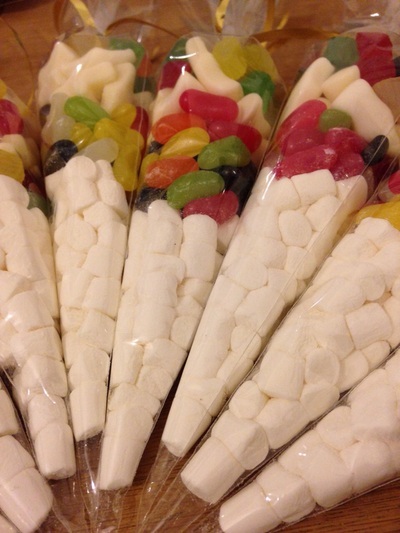 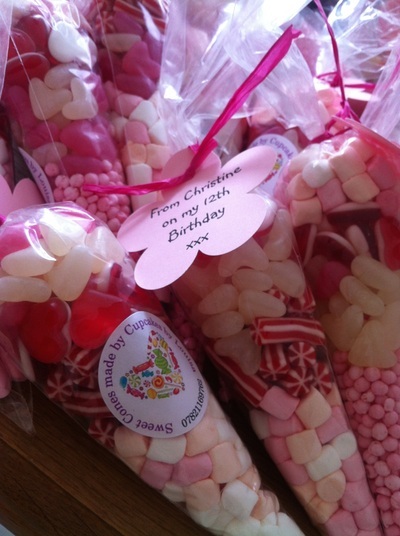 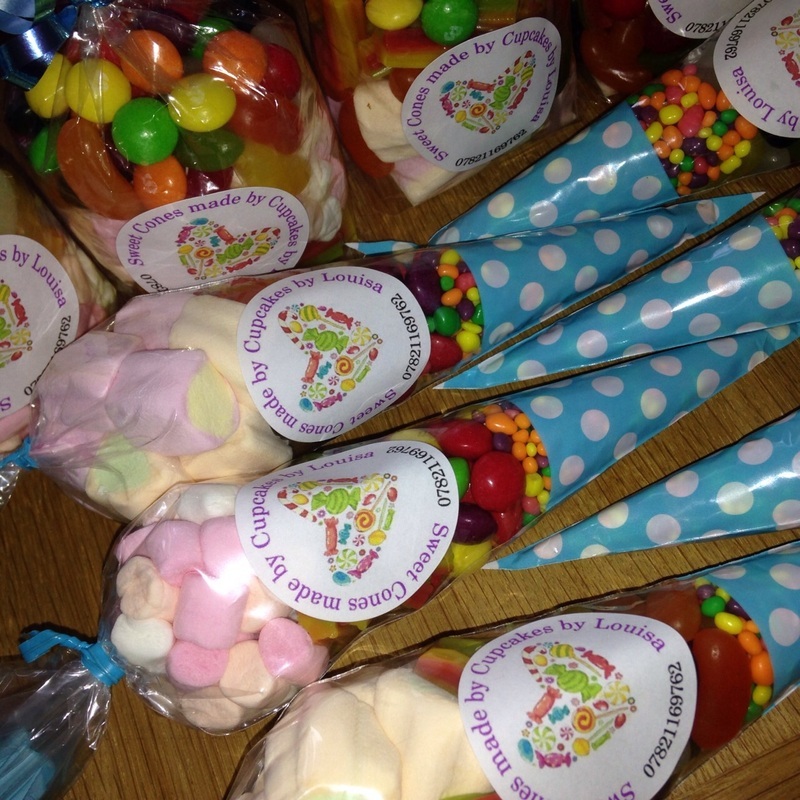 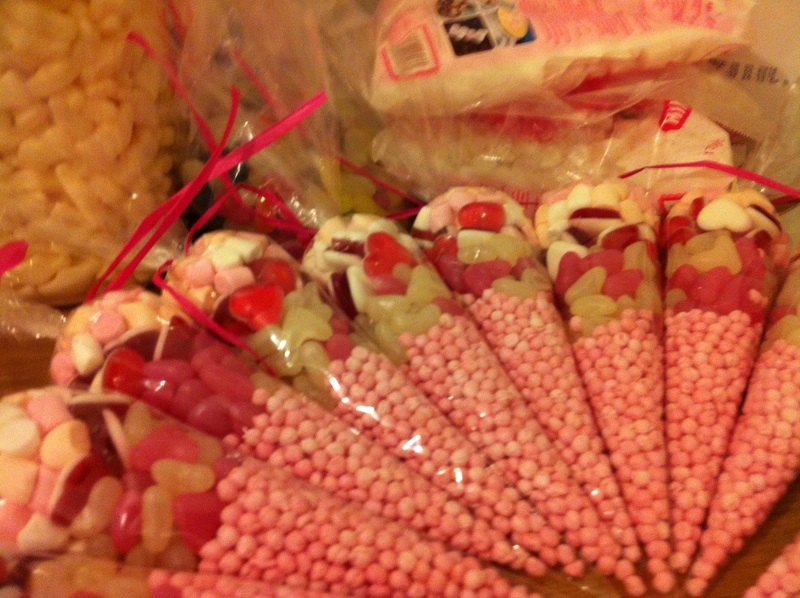 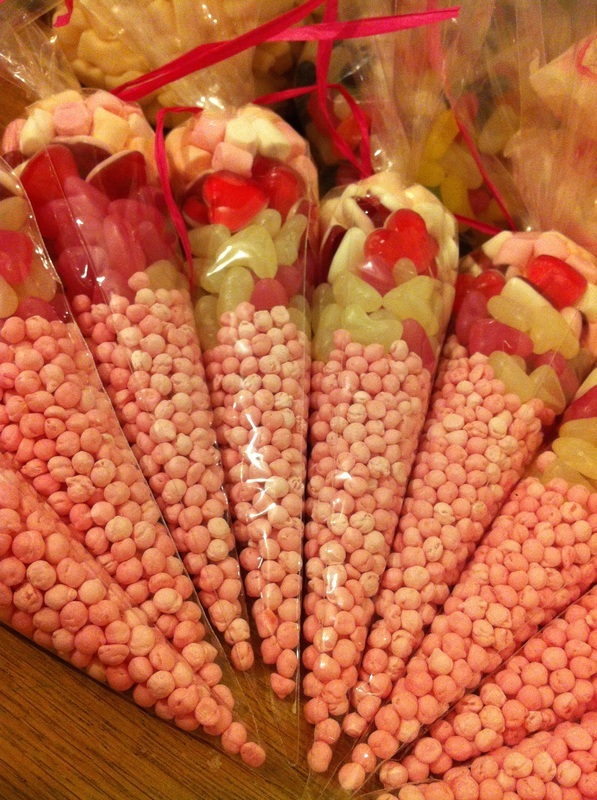 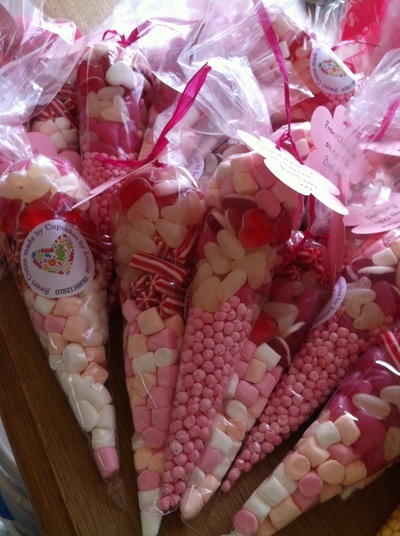 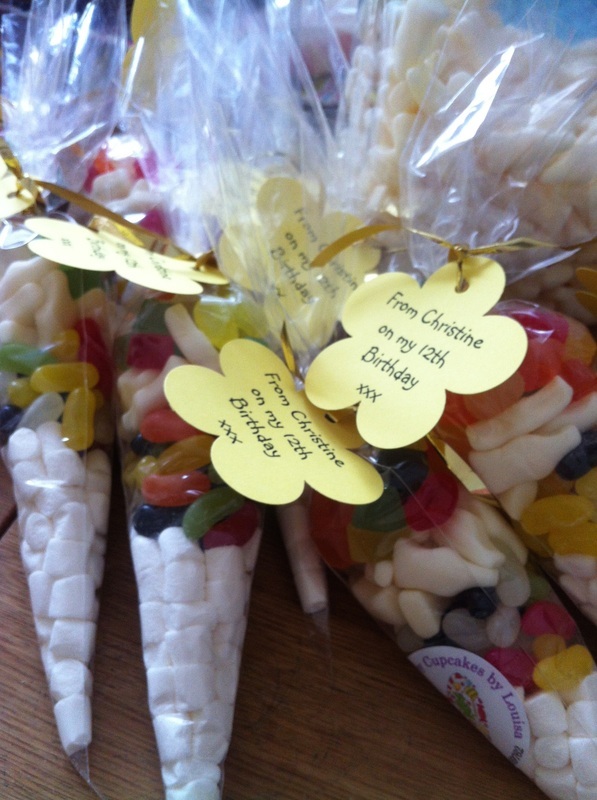 Our sweet cones make great party gifts for any occassion for guests to take away. 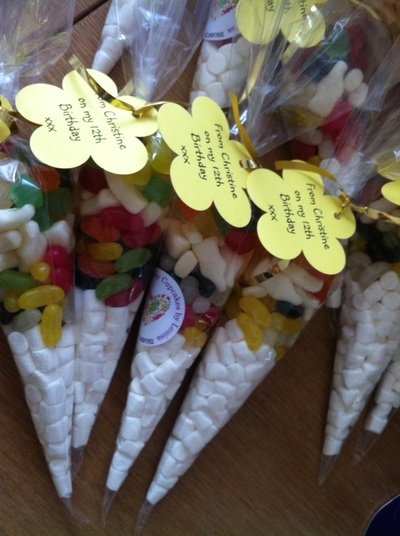 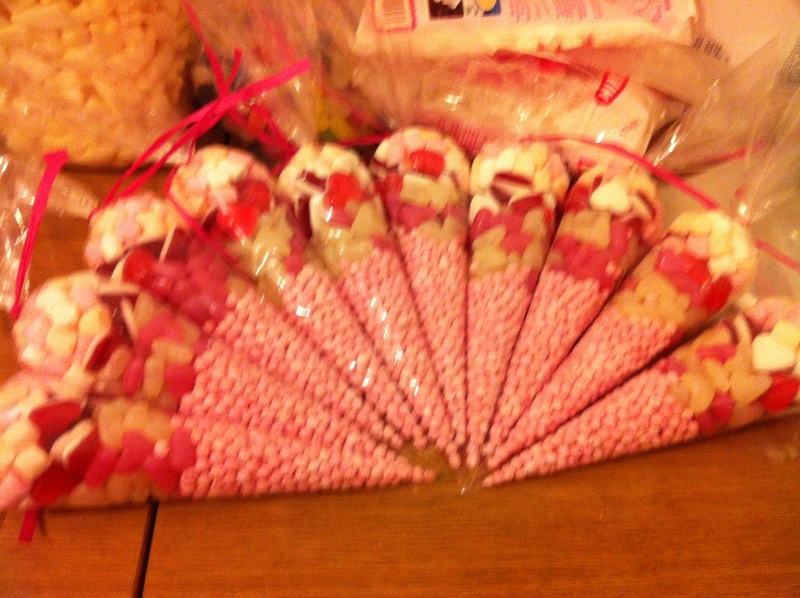 Each cone is filled with a variety of sweet to either suit your colour or party theme. 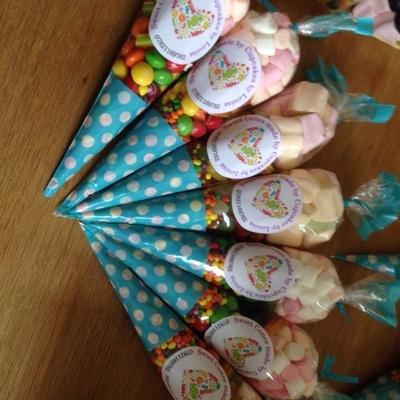 All cones come with a personalised stickers and matching ribbons. Why not make your party stand out with a sweet station from us. Our sweet stations have a range of goodies on them, from the actual birthday cake to cookies, macaroons, cupcakes, popcorn and also a range of sweets. 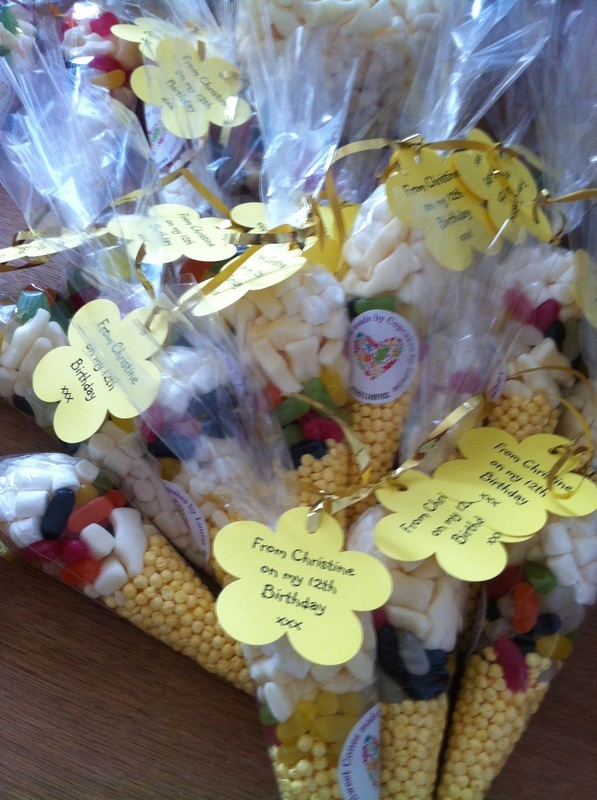 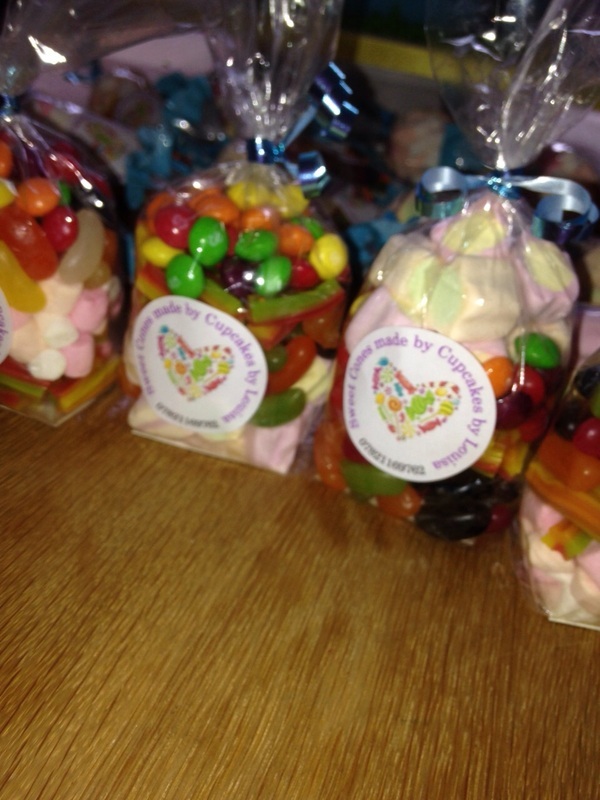 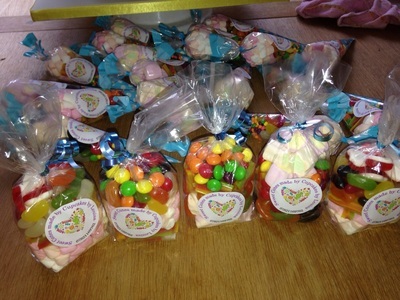 Or you have just have a purely sweet station, with various sweets in lovely and eye catching containers.